Highlights and drips are two areas where food photography differs a little from non-food photography. Traditional commercial photography tends to shy away from the harshness of specular highlights and the messiness of drips and imperfections. Specular highlights are sometimes just a smidge too bright and distracting in a photo, but these glistening highlights are a great enhancement to some food photos, as shown in the following figure. 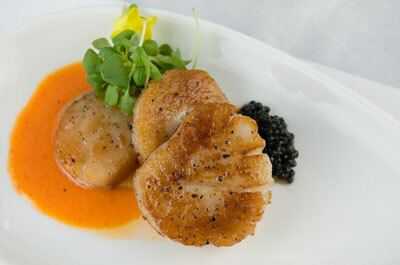 They give the images depth and form and, when controlled, can make a good image spectacularly appetizing. 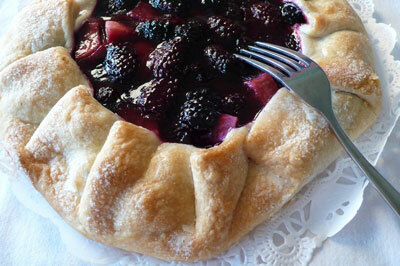 The glistening highlights on this fruit tart make for an appetizing treat. Generally speaking, a highlight is the lightest area of an image, and a specular highlight is a highlight with shine and sparkle. Brush a small bit of oil on your subject. This technique is particularly appropriate for meats or fish. The key here is restraint. Too much oil just looks greasy, so be sure to use only a small amount of oil and cover only part of the meat. A small brush is the best tool for this technique, but a paper towel works just fine in a pinch. Oil brushed on scallops gives some extra shine. Spray a little oil on your food. Using a spray oil product can have an awesome effect as well. The spray produces a nice, even highlight that doesn’t look greasy. Remember to use just a little, though. Ladle a little sauce over, under, or around your food. Using a sauce in your photo can create a nice highlight and add a color accent — bonus! Spray water on produce to create water droplets. This trick is an awesome way to make produce look fresh! Buy a small (less than 6 ounces) empty spray bottle at your local drugstore. You can use plain water, or you can mix it with a bit of glycerin to provide staying power under the lights. If you decide to use glycerin, create a mixture of 1/3 part glycerin to 2/3 parts water. Use the spray sparingly on the front part of your subject. Smear a little water on your subject. For this look, you can use a small pastry brush, or even just your finger. Smearing water on your food subject creates a nice, rough highlight on your food. All these techniques create new highlights and draw your eye directly to the subject. Keep in mind that highlights generally pick up the color of the light source or reflector, rather than the color of the food or dish. So what do you do if you have an over-the-top highlight? You can tone down and control highlights that are just a little too harsh by using different techniques with your lighting setup. Lighting distance is key here. Bringing your filtered lights (soft box, umbrella, or other translucent material) in a little closer can soften and mute a too-bright highlight. A drip of frosting slowly edging its way down a cake makes the cake look even more inviting. The imperfections and messiness of food can seriously bump up the delicious factor in a shot. An image with a drip or two takes what would ordinarily be considered a flaw (Eek! The frosting is melting!) and turns it into the main focal point. When a drip happens by accident, work quickly to capture that serendipitous event. A drip falling from, say, a teriyaki glazed burger is a phenomenal point of interest that makes the viewer want to chow down with vigor. 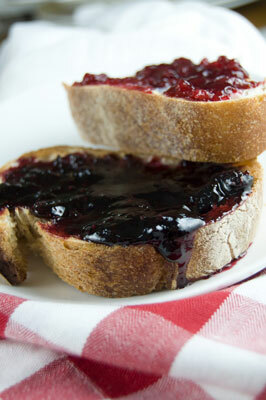 A little too much jam creates a delicious drip. Warming up a sandwich with cheese in a panini press, oven, or frying pan can also provide a scrumptious drip opportunity. Create your sandwich, including a little extra cheese, add heat, and then prepare to capture the delicious, gooey drips, as shown in the following figure. 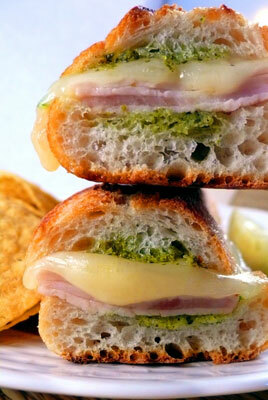 Melting cheese on a Panini makes the mouth water.